This statistic shows the percentage of U.S. adults that had select opinions on prescription opioid use among cancer patients as of 2018. 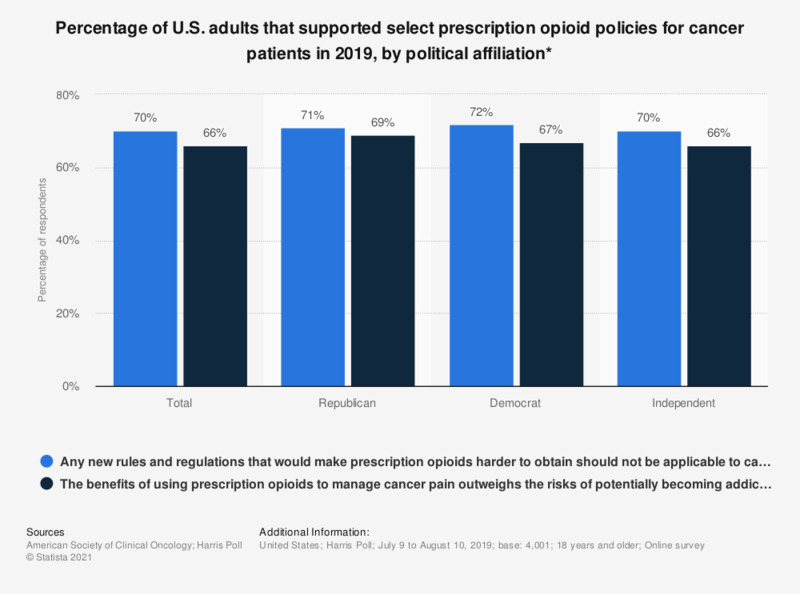 According to the survey, 73 percent of all respondents indicated that they thought any new rules and regulations that would make it harder to obtain opioids should not be applicable to cancer patients. Which political party in South Korea do you support?